South Park ऐनीमे - Craig's Gang. 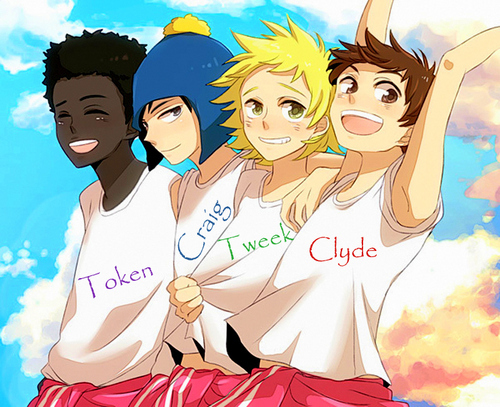 Token, Craig, Tweek and Clyde. HD Wallpaper and background images in the साउत पार्क club tagged: token craig tweek clyde gang anime south park. This साउत पार्क photo contains मोबाइल फोनों के लिए, हास्य पुस्तक, मंगा, कार्टून, एनीमे, कॉमिक बुक, and manga.